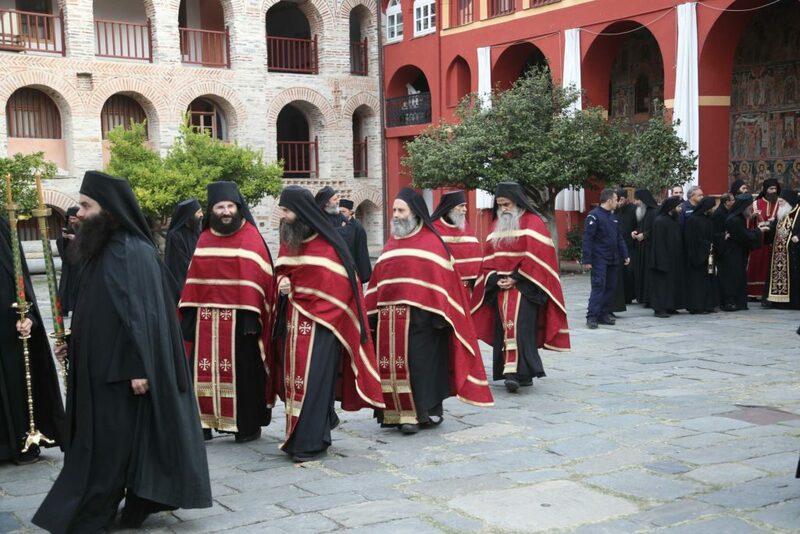 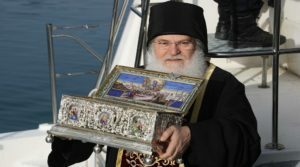 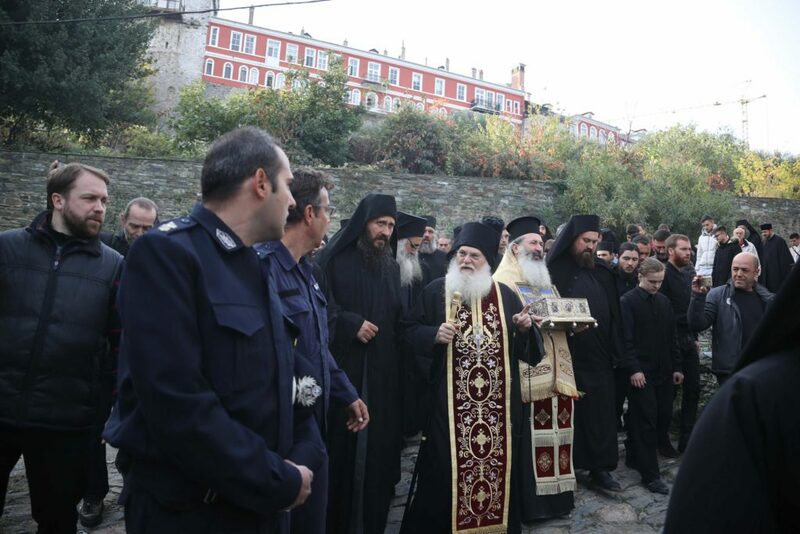 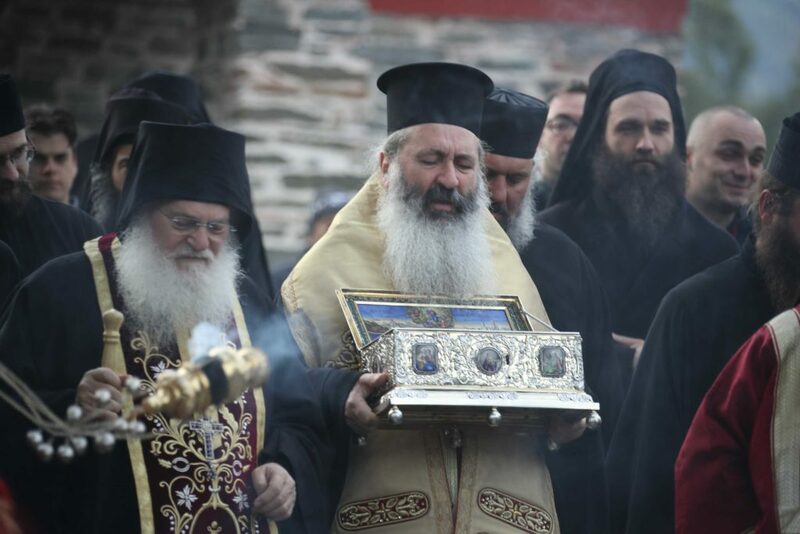 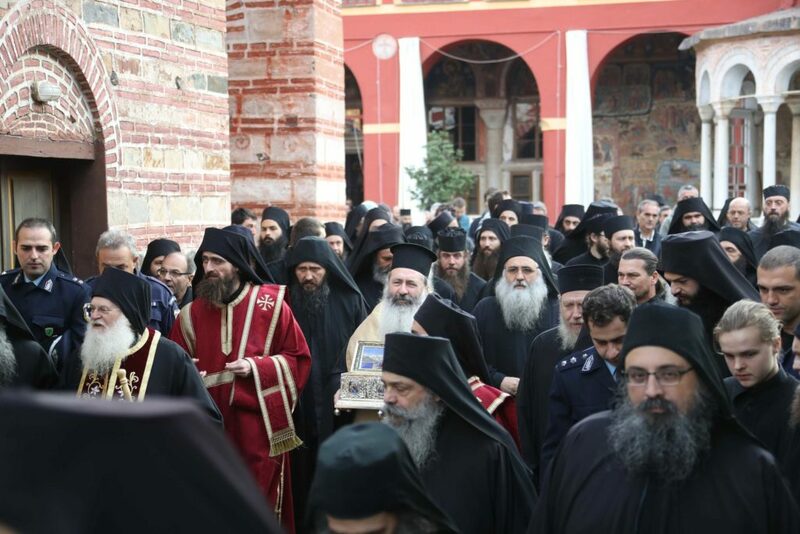 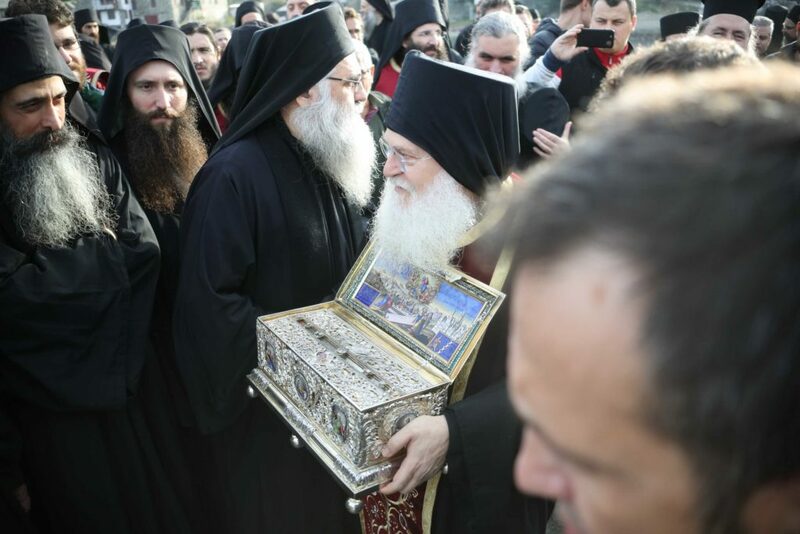 In the early hours of Friday, 3 November, 2017, the Precious Girdle of the Mother of God left Athos to begin the journey to Athens, where it would be received in the Metropolis of Nea Ionia by the metropolitan, the clergy and the people. 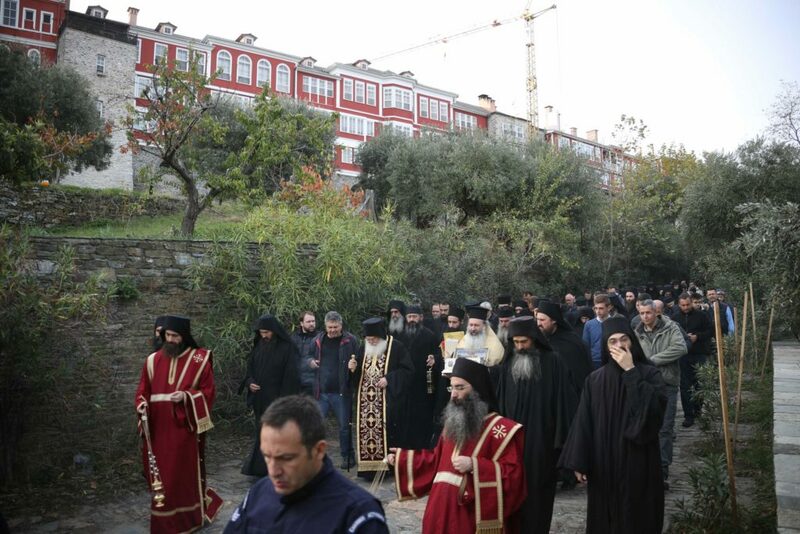 Leading the procession from the monastery to the landing-stage was His Eminence Dimitrios, Metropolitan of Kefalonia, who is well known for his devotion to the Mother of God. 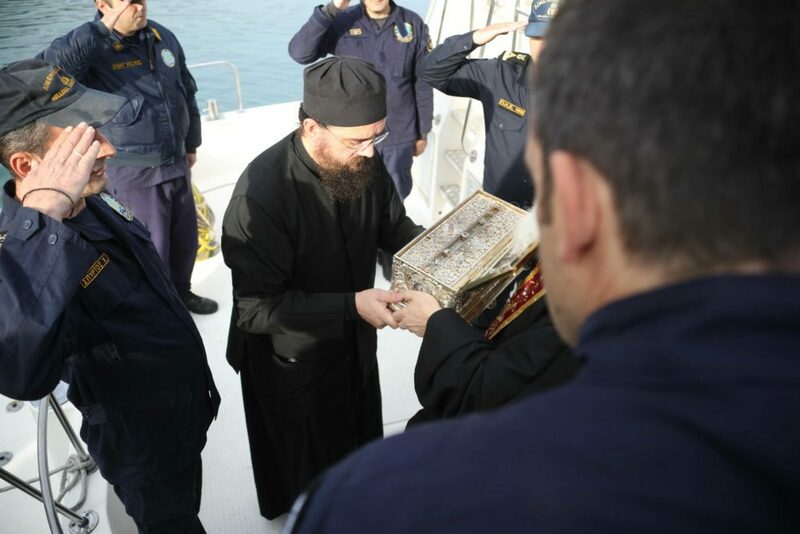 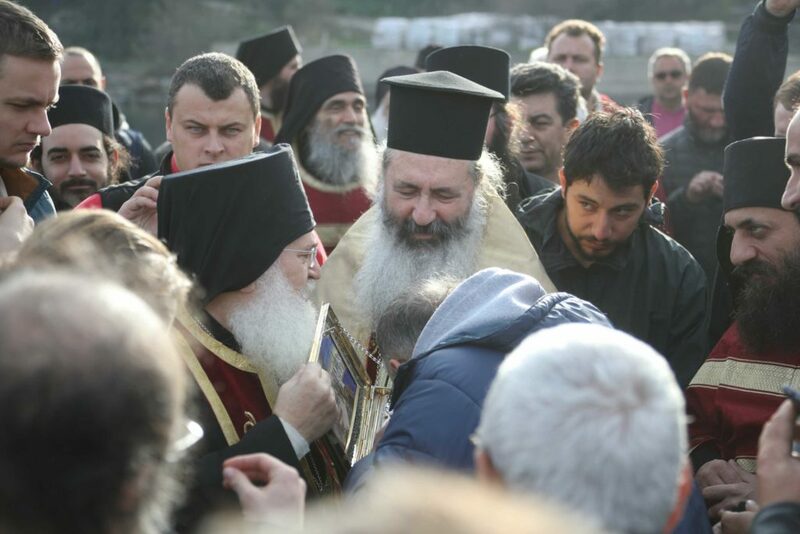 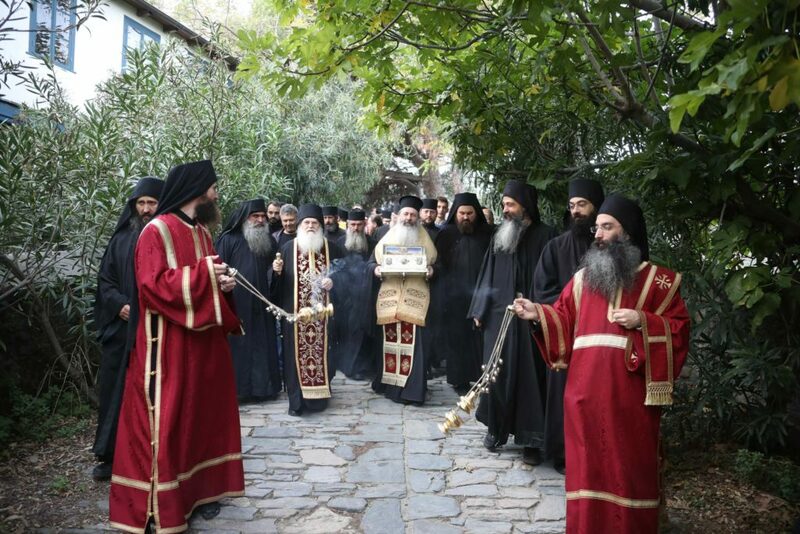 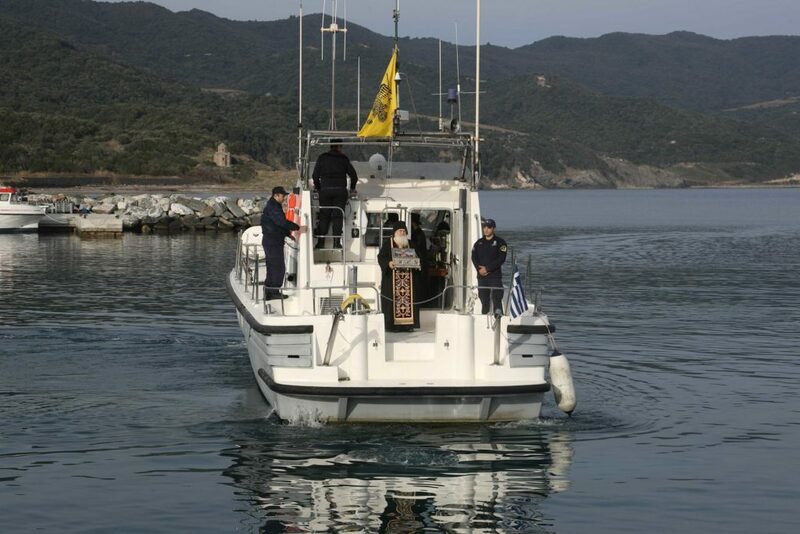 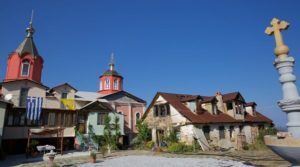 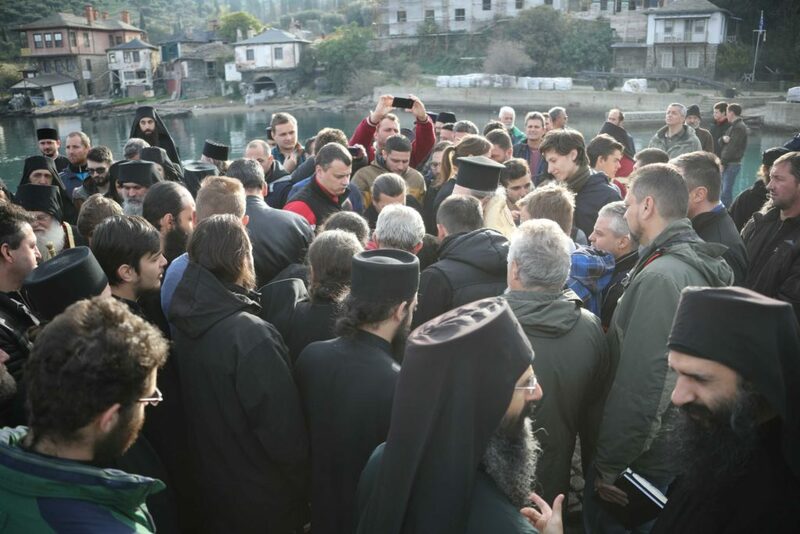 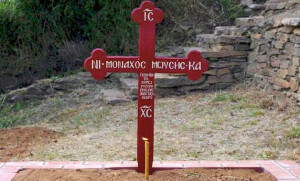 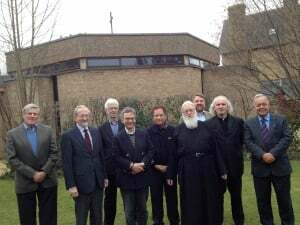 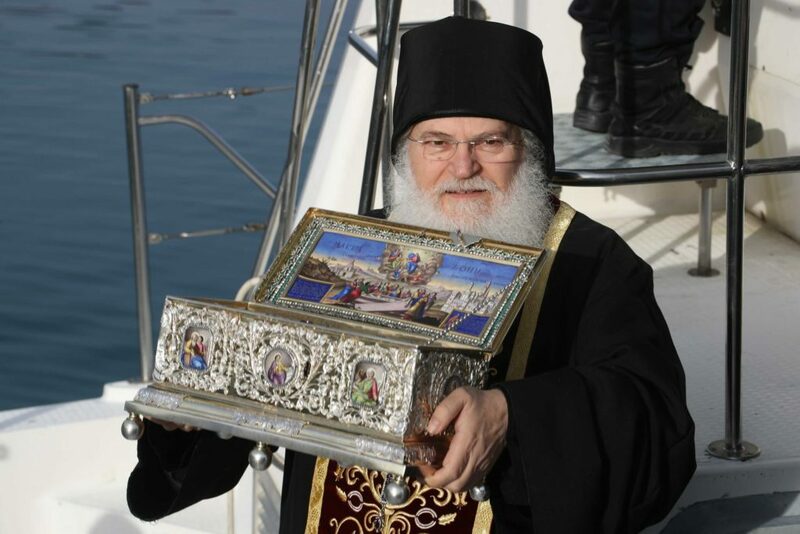 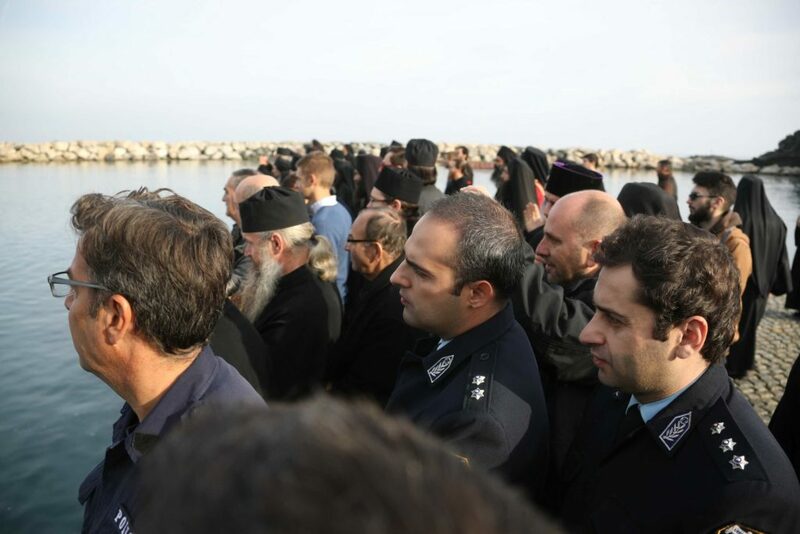 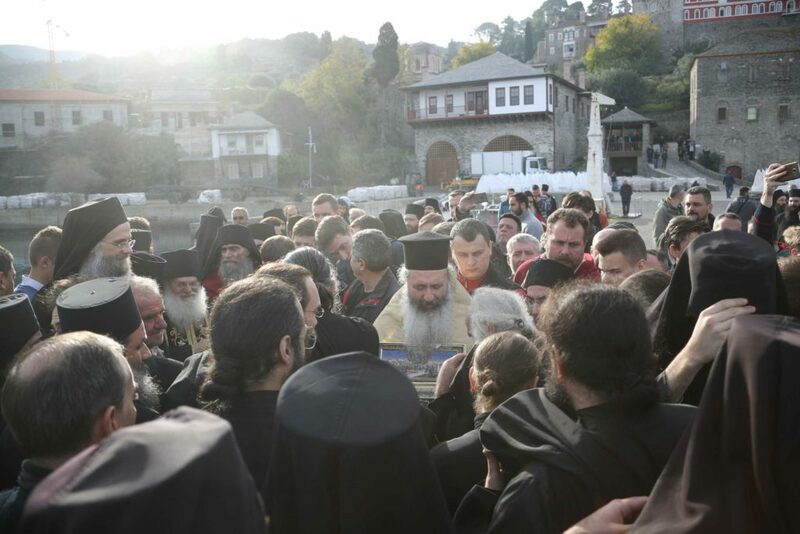 Holding the legacy of Our Lady, the Most Holy Mother of God, the Abbot of the Holy Monastery of Vatopaidi, Elder Efraim, blesses those present and the monastery before embarking on the coastguard cutter. 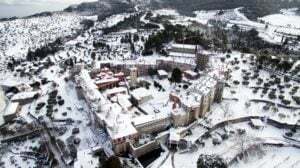 Whenever the Holy Girdle leaves the Mountain, it is accorded the honours due to a Head of State, since it is the sole legacy of Our Lady from her life here on earth. 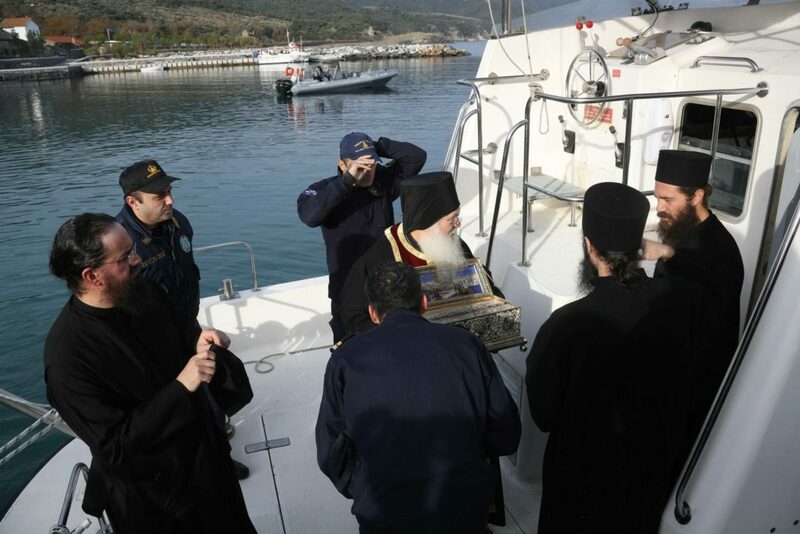 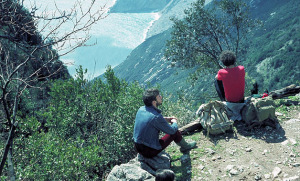 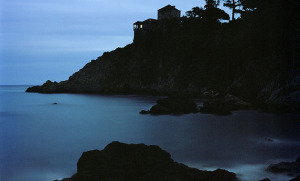 The coast guard cutter makes three circles before leaving the Holy Monastery of Vatopaidi, where the Holy Girdle is kept. 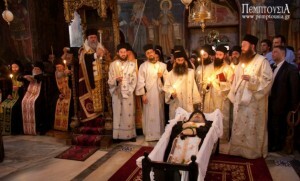 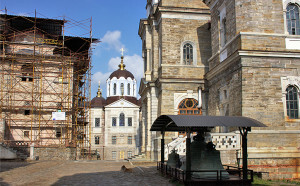 On Friday afternoon, the Holy Girdle was delivered to His Eminence Gavriil, the Metropolitan of Nea Ionia and Filadelfia (Philadelphia), and will remain in the cathedral church of the Holy Unmercenary Doctors for ten days, so that the faithful can approach and venerate it.